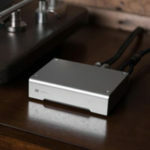 In 2009, Neko Audio brought out their first product, the D100 Stereo DAC. To get the DAC out at a reasonable price point they offered it direct to the customer, avoiding the traditional dealer network and markup. It comes with a 30-day money back guarantee. Because it’s not all that heavy, shipping is also inexpensive. The original D100 was greeted with great reviews and high acclaim. Though Neko Audio is still a relative newcomer to the industry, I think it’s safe to say they will be around for a while if they continue to make products like this. The unit I’m reviewing is the Mk2 version, which was announced in September 2009. The only difference between it and the original is that the Mk2 uses a modified version of the original output transformers to induce a higher output voltage of 2V. The original D100 had an output voltage of 1V. The D100 Mk2 is a non-upsampling DAC and while I don’t completely understand the technology, it surely has that musical sound that non-upsampling DACs are known for. The D100 Mk2 is the only DAC I’ve used that has a passive analogue stage. Instead of op amps or some form of active circuitry, it uses high quality passive components and a pair of Jensen transformers in the output stage. These have transformer-isolated coaxial inputs with noise shunted to chassis ground to eliminate unwanted transport or EM noise. Optical TOSLink provides complete electrical separation between transport and DAC. Digital conversion is done with a pair of Burr-Brown PCM1794A DAC chips in dual mono mode with separate analog output circuitry for complete channel separation and the highest fidelity sound. 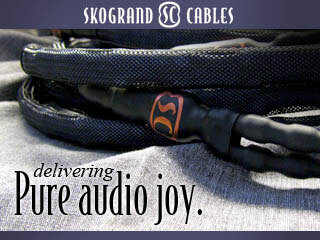 The small steel case is packed with high quality parts, such as strict-tolerance tantalum capacitors for long-term reliability and stability, which ensures the sound quality won’t degrade over time; Pi filters on IC power pins maintain stable voltage and current for optimum performance at all times; a high-power toroidal transformer provides isolation and noise-rejection for clean power transfer; the little steel chassis is said to provide better low-frequency EM shielding than aluminum; and the internal shield blocks pre-filtered AC noise from polluting your other electronics. It has minimal controls; there is an ON/OFF switch on the back, inputs for RCA SPDIF and Toslink with a toggle selector switch on the front panel. The Mk 2 still doesn’t have a USB input so for this review I either used my Marantz blu-ray player as a transport or more often I used the wonderful little Lindemann USB-DDC 24/192 USB converter with my laptop. 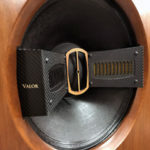 I have had the privilege to review some cost-no-object DACs, such as the Audio Note DAC 5 Special, the Ypsilon DAC 100, and some equally impressive all-in-one players. The only thing I had on hand in the same general price range as the Neko was the Slim Devices Transporter using its own DAC. I used two systems for this review: my personal reference system which consists of a Shindo Giscours preamplifier, a Wavac EC-300B SET amplifier driving the Teresonic Ingenium XR speakers, with DX4 silver drivers. For a transport I used a Slim Devices Transporter. Cabling in the system was entirely from Shindo. The second system was my digital/video system, which comprises Teresonic Magus A55 with Lowther Alnico A55 drivers; for amplification I used the 47 Labs Midnight Blue power amp; the preamp was a Peachtree Audio Decco, and the sources were a Marantz Blu-ray player and a Mac Mini with a Drobo. The D100 Mk 2 allows me to say something I have seldom said about any DAC under $5,000, heck I’ve seldom said it about any digital source: It has a very natural way with music. Vocals and acoustic instruments sound beautiful on the D100 Mk2. 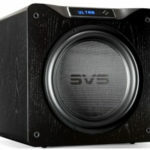 The midrange is very clear, and the sound is also very smooth. It’s interesting how Wesley Miaw, the proprietor of Neko Audio, has achieved a very interesting and musical sound. It’s smooth yet clear and natural sounding, but neither warm nor cool sounding. One of the reasons, after 30 years in audio, I love SET amplifiers, crossoverless speakers, and vinyl as a source, is that I love the way these systems provide an illusion that voices just appear in the room with you. If they can do this with voices, they can also do it with most solo instruments, though not necessarily a piano. This is one of the major downfalls of almost all redbook digital-based systems I have experienced. So I was shocked when the little DAC 100 Mk2 proved capable of doing this, not to the extent of the $40,000 Audio Note, or the $54,000 Ypsilon DAC and transport, but better than some very expensive DACs. The DAC 100 Mk2 comes closer to the real thing than any DAC costing $1,500 should; I think that’s quite an accomplishment. One of my favorite recordings to listen to and to evaluate voice on is Verve’s Louie and Ella, which happens to be a mono recording. The contrast of Ella’s and Satchmo’s voices is thoroughly enthralling on a good system, and rather irritating on a lesser system. The Neko Audio plays this recording in a way that highlights both the difference and beauty of their voices. I’d say it passed this test convincingly. The way a system plays strings is another test of any audio component for me. The Neko was especially good with plucked strings, but that’s not my first love in this regard. It doesn’t matter if it’s Ray Brown, Janos Starker, or Yo Yo Ma, I love the sound of the bass and cello. What I’m looking for is the ability of a system to get the leading edge right, and then the decay. I also want to hear the air around the instrument and the air coming from within the instrument. The DAC10 Mk2 is excellent at getting the leading edge and the air around the instrument. When it comes to decay it’s not quite in the same league as the Audio Note DAC 5 Special or the Epsilon. The bottom-end and mid-bass was very quick and tight, though the Neko did not have quite the slam or scale of the very best DACs. It does a wonderful job of portraying the natural warmth of the instruments and still sounded neutral in its presentation. The DAC 100 Mk2 has good dynamics and very good micro-dynamics. Again, though this is an area where it doesn’t quite hold up to the Audio Note DAC5 Special or the Epsilon, but not many does. What about soundstaging and imaging? Well, I have good news, this is an area where the Neko Audio DAC holds its own with the big boys. In fact, I was simply blown away by the soundstaging of the DAC 100 Mk2. The stage is wider and deeper than I had any idea my digital/video system was capable of, and it was as I have heard from a digital source in the reference system. The Neko Audio DAC does lack a slight bit of ultimate detail, but does such a great job in the midrange and has such a natural sound that I found myself forgetting about it and just enjoying the music. I spent most of the time I had with the D100 Mk2 using a music server as the transport, so I listened to lots of different music through this DAC. One thing that came through with time was just how grain-free it is. The almost slightly warm presentation of the D100 Mk 2 is surely preferable to most digital sound. Overall, it has superb tonality that is rich and smooth. The Neko isn’t the best DAC in the world. Whether or not it’s a giant slayer depends on the giant, but it is one of the few digital sources I have experienced that made music easy to get involved in, and I could listen to it for long periods of time. 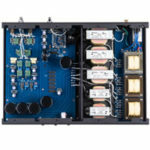 How does the Neko stack up to the Grant Fidelity Tube Dac-11? Any similarities in sonics? Sorry, but I have never heard the Grant Fidelity DAC. Hi Jack: It would have been nice if an internal photograph was available, company and designer history or even company/distributor contact information.